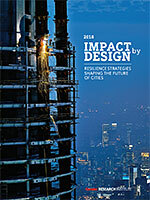 Design strategies that mitigate water risks are required for a long-term perspective. As coastal cities continue to come under siege from rising sea levels and increasingly frequent storms, the long and short-term returns on investment for design strategies that effectively manager water will grow in value and become more apparent. Cities are the economic engines driving growth in the 21st century — and a vast number of the world’s major cities are in locations vulnerable to flooding. Cities that adopt progressive strategies toward designing with water in mind will possess a distinct competitive advantage and put themselves in a better position to attract new residents and businesses both now and in the future. 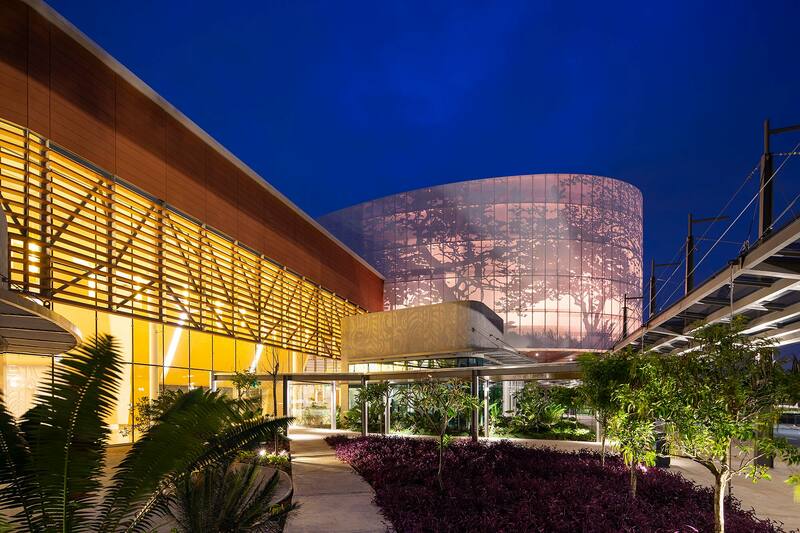 The newly opened Centro de Convenciones de Costa Rica is a remarkable milestone in sustainable design for a country that helped pioneer eco-tourism and remains committed to a forward-looking green ethos. Resilient design strategies for coastal cities can be broken down into three scales: the regional scale, the city scale, and the building scale. At the regional scale, begin with the development of an understanding of each city’s distinct ecological infrastructure and an assessment of the risks threatening that infrastructure. Every coastal city faces unique hazards, from receding coastlines displacing residents to the contamination of potable water supplies. Once an understanding of these risks has been established, the adoption of proactive zoning codes acts as the first stage in developing a comprehensive resilience strategy. Cities that design with water in mind will possess a distinct competitive advantage, putting themselves in a better position to attract new residents and businesses both now and in the future. Cities are in a prime position to consider strategies specifically designed to combat sudden or gradual influxes of sea water. Possible solutions include cut/fill canals that channel water away from the built environment to flood-proofed sites, and also constructing coastal dunes and dedicated wetlands that inhibit flooding and appropriately store both flood and fresh water. The design of individual buildings must then be considered. The designers, owners and operators of the built environment must determine the strategies that best suit their location. These could include raising ground floors to flood-proofing existing structures or using durable materials capable of withstanding the sudden incursion of floodwater or increases in humidity.